Microgaming company is now working on development of online slot based on one of the world’s most known movies – Terminator 2: Judgment Day. When this movie was released over twenty years ago it gained incredible popularity and won countless awards including Best Visual and Best Sound Effects. The success with the viewers was logically followed by financial success. The worldwide box office sales hit over five hundred million dollars which was a record for that time. Many Hollywood stars were in the movie and some have become the stars after the movie. Arnold Schwarzenegger headlined the cast in his most successful role of Terminator. The film had very high influence on the popular culture, action and science fiction shows that appeared ever after. It still regularly appears in the top band of movie polls and American Film Institutes have it included in their Top ten list. It is also thirty fifth on the list of 500 Greatest Movies of All Time. And now Microgaming has set the goal to create a game that would follow success of the movie and bring casino players hours of fun. Of course we expect the best quality, the best graphics and sound effects from a game of such level. And there is no doubt we are going to get all of it and probably more. In a few months we will enjoy the online slot. It is already known that the game is going to have 243 ways-to-win and the figure can rise up to 1,024 ways-to-win within the free spins feature. And the free spins in their turn will be initiated if 3 or more Time Travel Orb symbols appear on the reels simultaneously. Plus, the T800 and T1000 symbols will provide with additional opportunities to win. CEO of Microgaming Roger Raatgever has already commented the event. He said that they were excited at the company to get a chance of making game based on the Terminator 2 movie – a brand that is loved by so many and that lends to the world of online gambling just perfectly. The game will certainly be action-packed and jaw-dropping as it should. And the president of Creative Licensing Corporation Rand Marlis said in his turn that the reasons why Microgaming was selected for making the game are numerous. First of all the company has needed experience in licensing brands and there is no doubt that online slot they create will become a massive success. 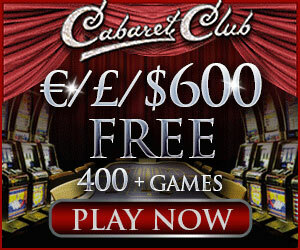 He added that it was a true pleasure to work with Microgaming and they hoped to work together in the future.